Prisoners of the main camp in Rogoźnica were evacuated in February 1945. The last transport left on 13th of February and abandoned camp was taken by the Russian Army. 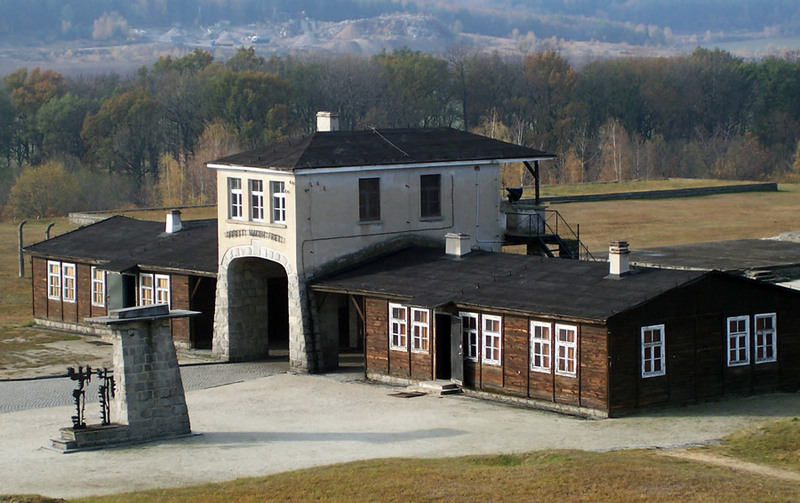 In March 1947 it was officially handed to polish authorities, which got down setting the post- camp grounds in order and guarding the camp remains. On 11.09.1947 arose Gross- Rosen Protection Committee. There was announced a competition for a mausoleum project to commemorate the victims of Gross-Rosen and gathering of funds for it started. On 2.11.1947 there was a ceremony of building a foundation stone into mausoleum by Adam Procki’s project. Its unveiling was in Autumn 1953. Ashes of prisoners were put in it. In 1963 the bronze statue was removed from the stone pedestal. In 1985 there were built two additional wings, which keep ground from former subcamps of Gross-Rosen.